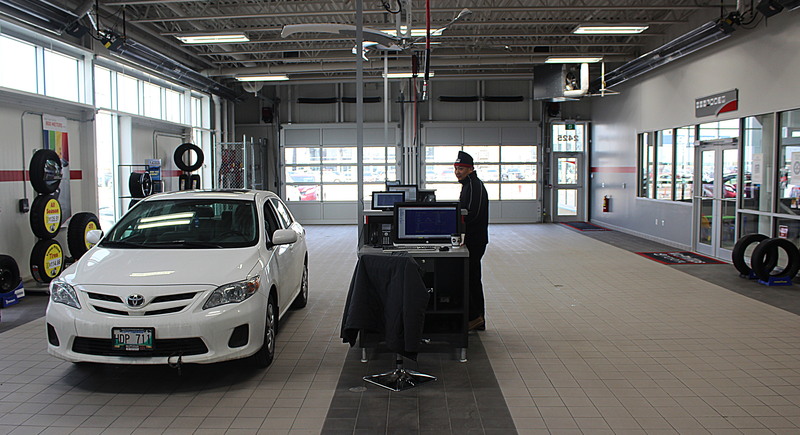 At the McPhillips Toyota Vehicle Service Center, we employ one of the top service teams in Canada. In 2007 and 2008 we scored both The President’s Pride and The President’s Elite designations for excellence, and the professional quality of our mechanic services is unparalleled in the Winnipeg area. Our factory-trained service team includes there certified Toyota hybrid technicians, and you can be confident that we have the skill to diagnose and repair the modern technologies aboard your new Toyota vehicle. We give you honest recommendations and advice, and will give you our full attention and care whether it comes to vehicle maintenance or answering your questions. Our primary goal is 100% customer satisfaction by giving our customers superior service and outstanding customer care. From car and truck detailing to in-depth mechanical repairs, you can trust that our service department will get the job done right. You can save time and book your next service appointment online for your regular maintenance. You can also contact us if you have any questions about your maintenance schedule or would like to book your vehicle for a service or an inspection. We can also help remind you of when your vehicle is due for its regular maintenance interval. Service Specials to see the incentives we can offer you today! Contact us to arrange your next appointment, or book your service online! Relax in our Customer Lounge while we service your vehicle. Enjoy free beverages and wireless Internet connection, while your little ones explore our kids’ play table. We are proud to provide service to Winnipeg, Selkirk/Dryden, Interlake, Headingly/Perimeter, and East St. Paul. One of the most important parts of your vehicle’s regular maintenance is a Toyota warranty-approved oil change. A quick oil change can make the difference between giving your vehicle a healthy and long life on the road, and having it in the shop due to premature mechanical failure. Check your vehicle’s maintenance schedule to see when it is due for an oil change/express lube service. Our Toyota Touch car detailing and truck detailing service helps your vehicle maintain that fresh cared-for-look and is a great way to protect your investment. Our facility is equipped to handle your windshield repair needs. Windshield repair is more than just a cosmetic service  it is also an important part of your safety, and will help protect the integrity of your vehicle in case of an accident. Select from some of the top nationally-advertised brand name tire products including Michelin, Goodyear, Bridgestone, Firestone, BFGoodrich, Uniroyal and more. We have a wide selection of tires to fit all Toyota models. An inside look at what goes into Toyota’s Synthetic Motor Oil – how it’s optimized for engine lubrication, especially for Canadian winters. 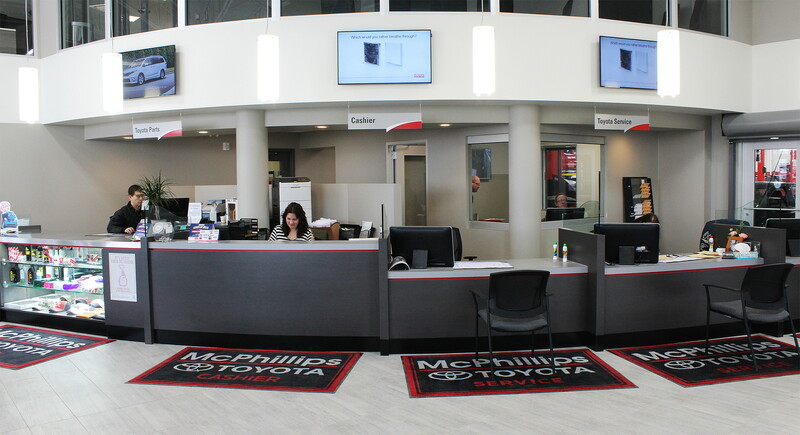 An inside look at our Oil & Filter Servicing at McPhillips Toyota – one of the most important ways to protect your Toyota.